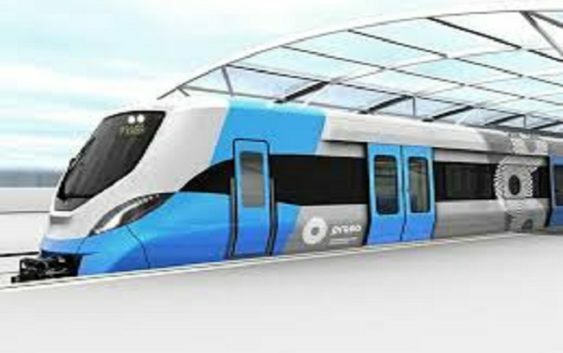 Today 9th April 2019, President Cyril Ramaphosa launched the new Passenger Rail Agency of South Africa PRASA “Peoples Train” at the Cape Town station. According to the president, “The Peoples Train is indeed a great milestone in our effort to improve the safety and comfort of commuter rail transport”. President Cyril Ramaphosa who honoured an invite to the Passenger Rail Agency of South Africa (PRASA) in Cape Town; received briefing on the company’s efforts to improve commuter services and industrialization through its modernization programme. Premier Helen Zile and Transport Minister Blade Nzimande joined him while walking around inside the new trains. Meanwhile, Commuters are all excited for the new Metro-rail trains in Cape Town.